No more juices running from the grated cucumber and over the edge of the chopping board, no more grated cheese going everywhere, and, in particular, no more graters that slide around on the plate when you take a carrot to them. The Eva Solo grating bucket provides a welcome relief. Wonderfully simple and yet ingenious. 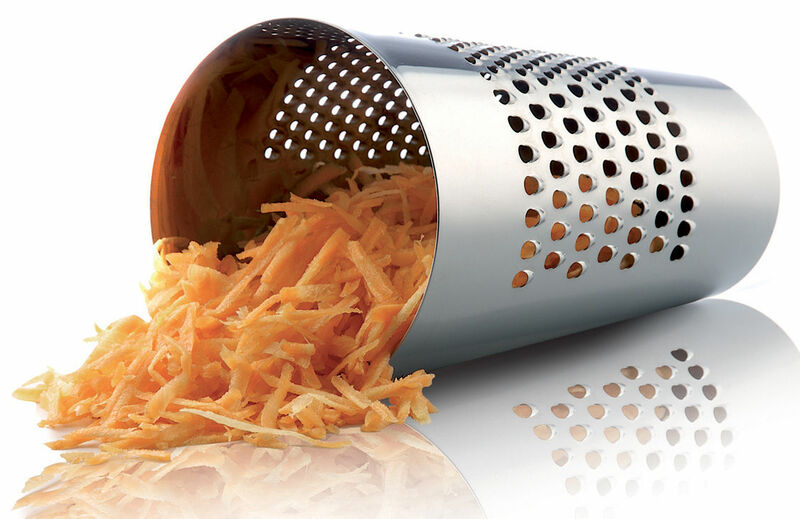 Eva Solo's new grating bucket means that you no longer need to endure grated vegetables or cheese strewn all over your kitchen surface. This is because everything you grate gathers at the bottom of the grating bucket - without wasting the juice from apples and cucumbers, but allowing you to tip the contents straight into the dish. Fancy a quick, healthy snack? Then you can grate all your ingredients to produce a delicious raw food salad in the bucket, stir it lightly with a spoon and then serve directly from the bucket onto the plate. It couldn't be simpler. The stylishly designed grating bucket goes well in modern kitchens, so there is no need to hide it in the cupboard. 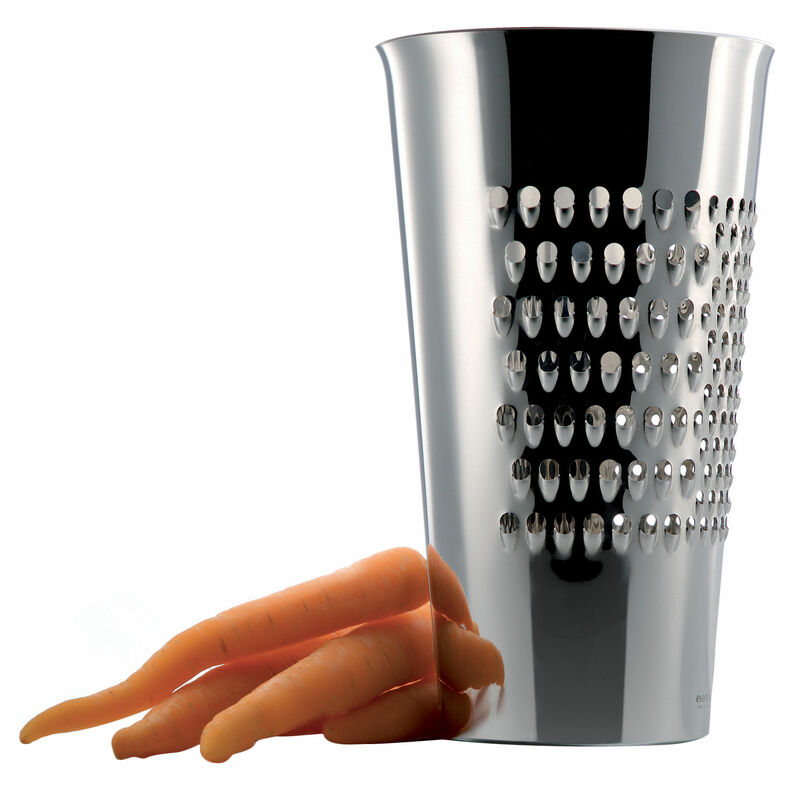 The bucket is made of polished stainless steel, so once you have used it for grating your favourite vegetables you can, of course, easily pop it in the dishwasher.